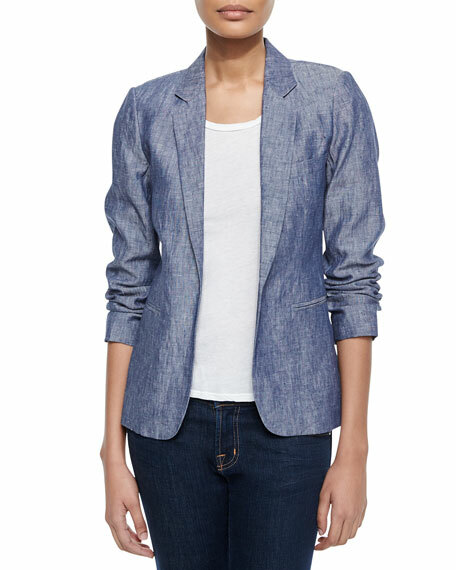 Joie Mehira blazer in chambray. Approx. 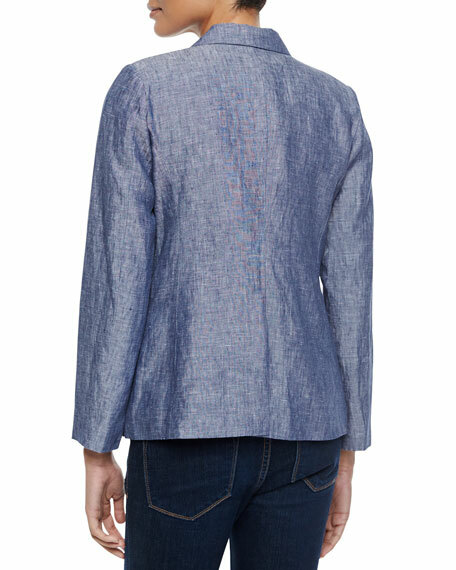 measurements: 16"L shoulder to hem, 24"L center back to hem.